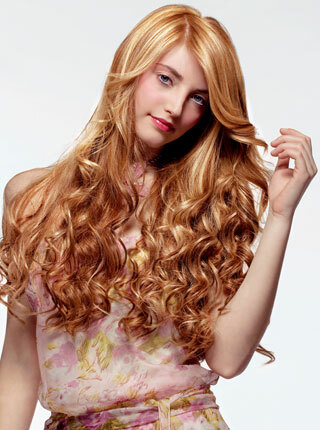 Hairdreams has been a worldwide leading provider of real hair extensions for many years. The Hairdreams philosophy includes a strict quality orientation. Only absolutely healthy, thoroughly tested hair passes the stringent Hairdreams quality control and is subsequently gently refined. The result: excellent hair quality, which in the meantime has become the Hairdreams "trademark". Proof of this outstanding quality is the Hairdreams guarantee of faultless hair quality during the entire wearing period. The prerequisite is simply maintenance of the necessary care measures and the regular aftercare at your Hairdreams partner. The record is entered in your Hairdreams care pass. Why Natalija uses Hairdreams© ? Natalija always looks out for new technology and techniques of styling for her clients. Hairdreams is a great option and the future of hair extensions! Hairdreams hair extensions blend in perfectly with your own natural hair and are virtually undetectable. Hair extensions can give any-one longer hair length and more volume in just a few hours so that practically any desired styling is possible. The attachment points are almost "invisible" and the hair can be comfortably worn day to day without any problems - wether in the pool, the sauna, or in any sports activities. Attaching hair extensions is through a gentle physical technique and is not damaging for your own natural hair. Only requirment is at least 4-6" existing hair length. Do you have fine, thinning and or balding spots? Let me help you with Hairdreams Volume+ System! To learn more visit HairDreams Hair Extensions.